The good folks over at Marc Jacobs have done it again with another new line of affordable cashmere in a variety of styles. Whether you are a v-neck, crew, or cardigan person, the Jacobs by Marc Jacobs cashmere has something you will want. 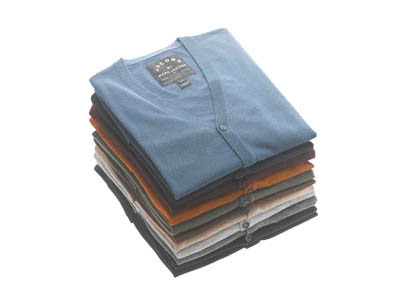 With eleven 100% cashmere color choices to choose from for only $82, you can't go wrong. Be sure to get over to a Marc by Marc location and stock up now while quantities last.